Joe has completed numerous obstacle races and I always thought it would be fun to make one for the kids. My girls love to run, jump, play, and roll around in the grass. They also have eczema and sensitive skin in general which can put a serious damper on all the fun. all® free clear detergent is one tool in my arsenal to make sure my kids can live free from sensitive skin worries. It's always necessary to pay attention to what I'm putting on their bodies, in their bath, and on their clothing, but during the dry months of winter and the summer months filled with allergens, itchy grass, and sweat, it becomes even more of a priority. Here's how I created a fun backyard obstacle course with 6 challenges and how using all® free clear detergent keeps me from freaking out at the thought of their sensitive skin and clothing covered in sweat and grass! 1. Shop your home for items you can include in your course. 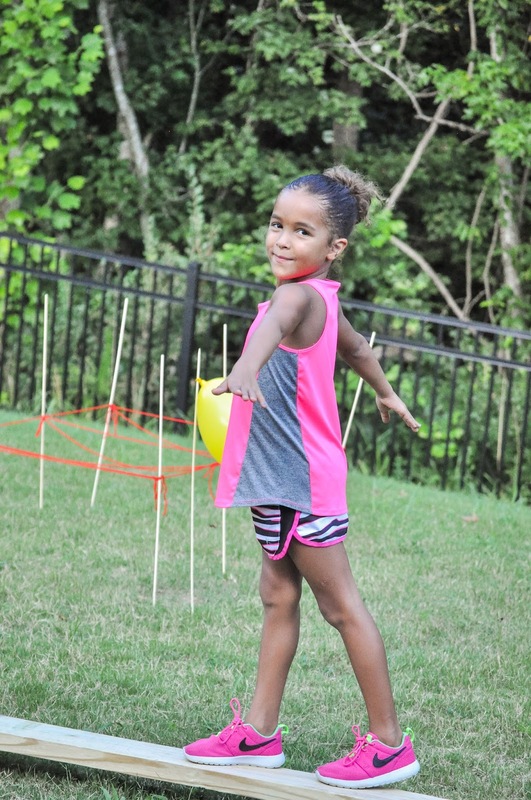 -Use a wading pool full of balls or water balloons (under a balance beam, swing, or some other obstacle would up the fun factor). -If you have a rock climbing wall as part of a play set, use it! -I've seen ideas using rope, buckets of water, cans of paint--use your imagination! *I grabbed any items I didn't already own (as well as all® free clear detergent and all® free clear dryer sheets) from Wal-Mart. 2. Once you've taken stock of what you own, decide which obstacles to do and how many. 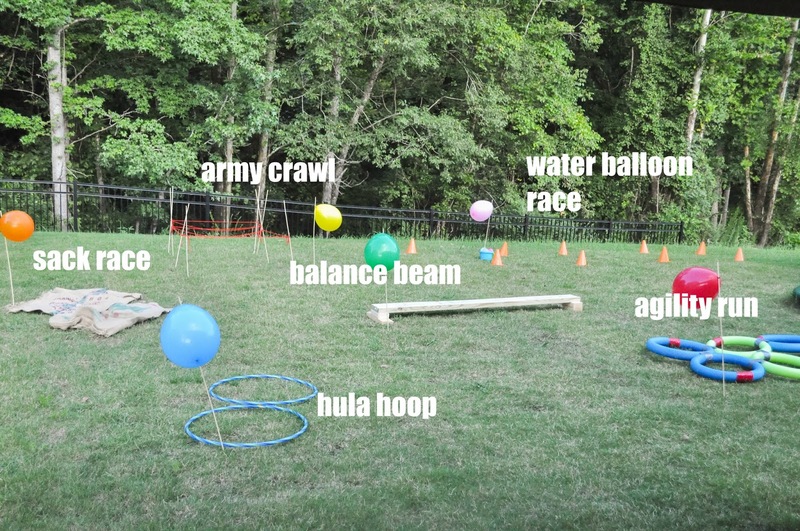 agility obstacle- super simple. Just duct tape pool noodles together. Don't try to use any other tape- it won't work. And use more than you think you need or they'll come apart (I speak from experience!). army crawl- Use marshmallow sticks (way cheaper than stakes) and tie yarn to them in a zig zag pattern. You can adjust how high or low you want it. 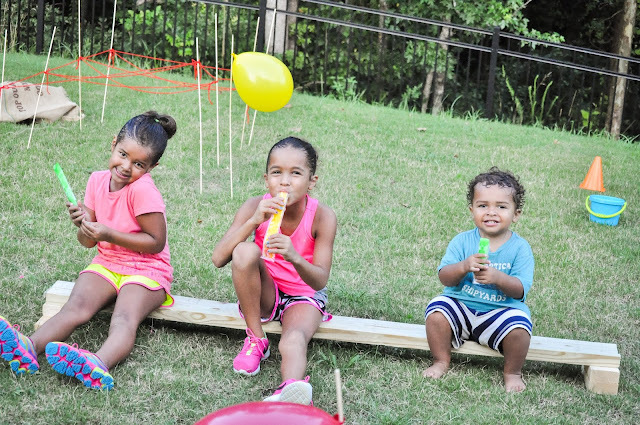 Note: If you have big kids, stakes might be more sturdy but these worked fine for us. balance beam- we had scrap wood that Joe nailed into smaller blocks. Ours was too easy. Use narrow wood if you can. You can also elevate it to make it more challenging. 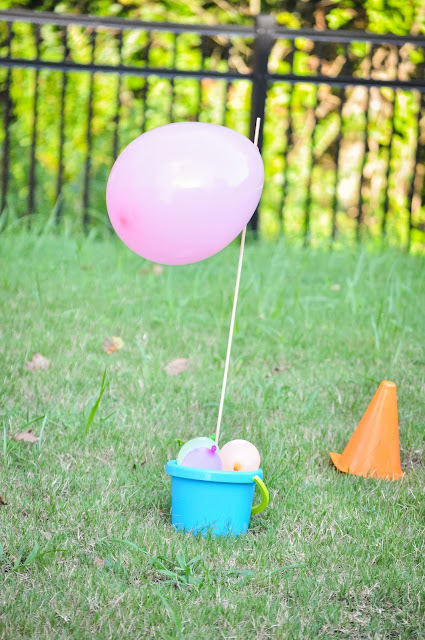 water balloon race- Fill a bucket with water balloons and arrange cones in a zig zag pattern. 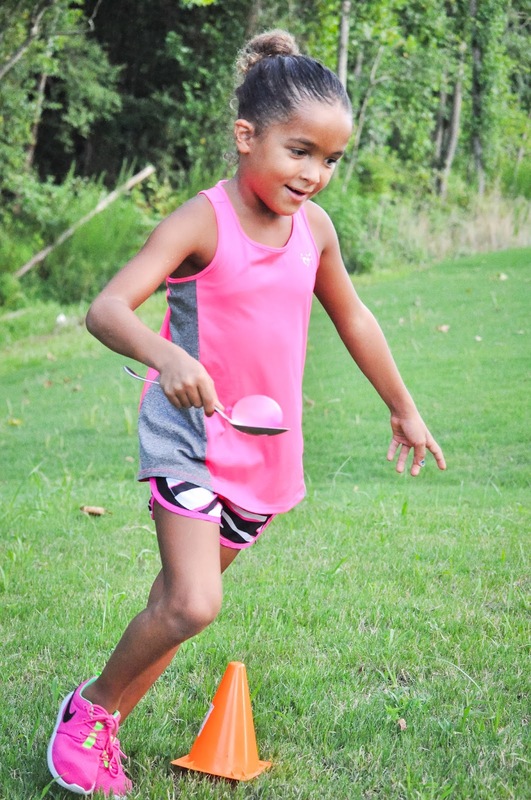 The kids had to balance water balloons on a serving spoon through the cones. 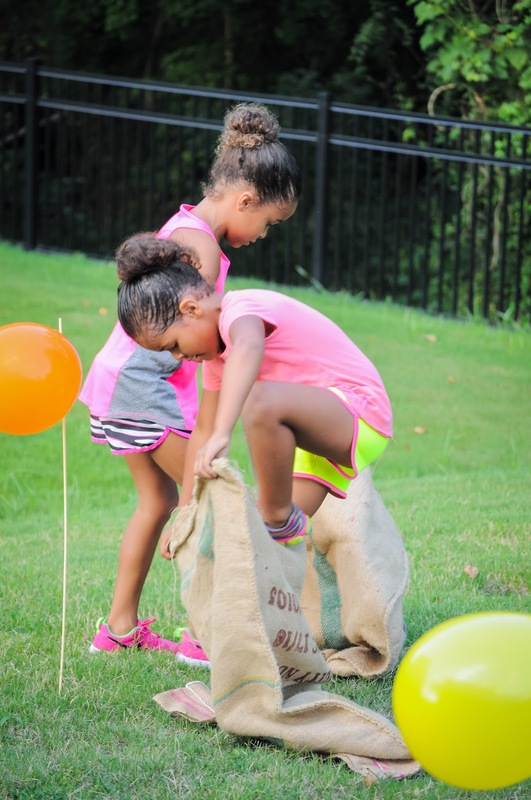 sack race- Have the kids use the sacks to jump from one obstacle to the next. hula hoop- Super simple fun add- not to mention the cuteness of watching them hula at warp speed. Hint: wherever you can, use bright colors. It will look and feel more festive for the littles! 3. 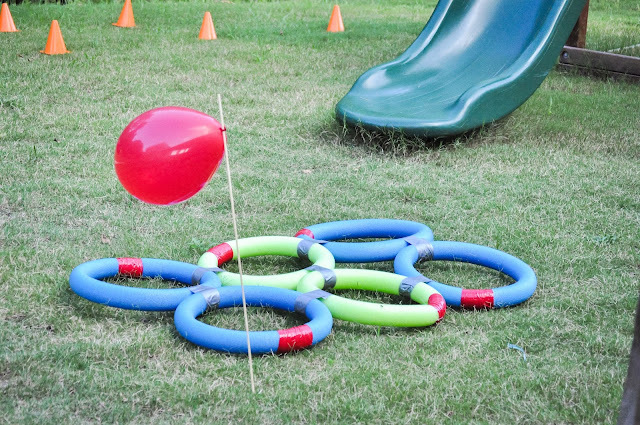 Arrange obstacle on lawn and include markers. 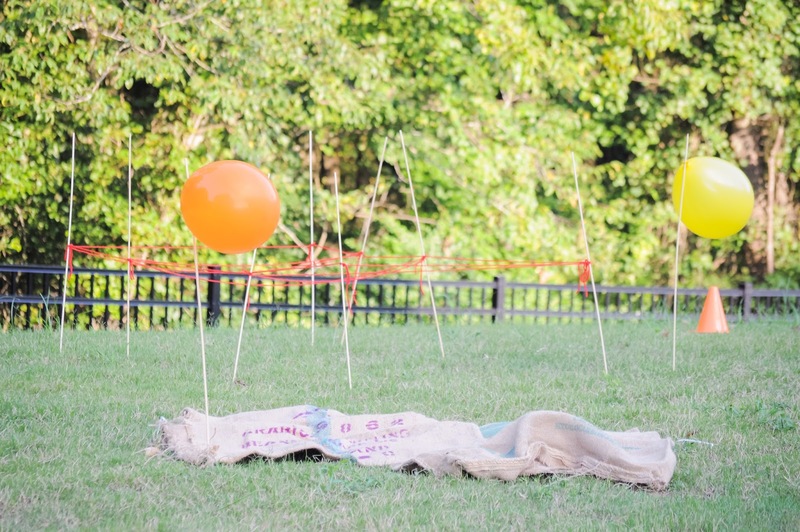 Use balloons tied to marshmallow roasting sticks for markers. Bright, fun, and easy! If you'd like, you can label or number them. Demonstrate for your kids how to do it/the correct order, then watch them have a blast. The girls literally jumped up and down when it was ready and exclaimed "This is the best day EVER!" 5. HAVE FUN and be free! If you find the obstacles are a bit easy, make it a race or time your kids and encourage them to beat their personal record. Make it a family affair by all participating (that's right-- even mama!). 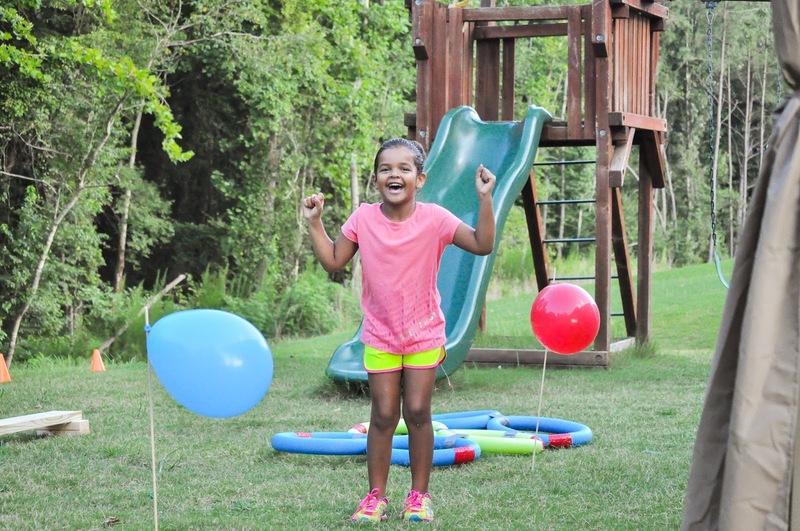 And don't worry about the itchy grass and allergens getting all over your kiddos. That's what all® free clear detergent is for. -We use baking soda in the girls' baths and avoid any products with dyes and fragrance in their bath water. -We moisturize daily. Aveeno eczema therapy works really well for us. -After fun outdoor play, we run them a slightly cooler bath for a calming and cooling effect. -If you're concerned about a stubborn dry patch or rash, call your doctor; don't just assume its eczema. I've had to take Genevieve in for a mystery rash after the usual treatments didn't work. It's worth the peace of mind! (and in that case, a Rx). Do you or your children suffer from sensitive skin? How do you keep it from putting a damper on your summer fun? 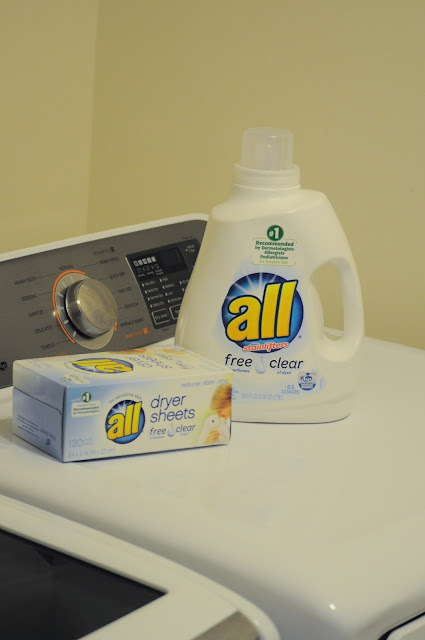 You can find all® free clear detergent and all® free clear dryer sheets at a retailer near you. 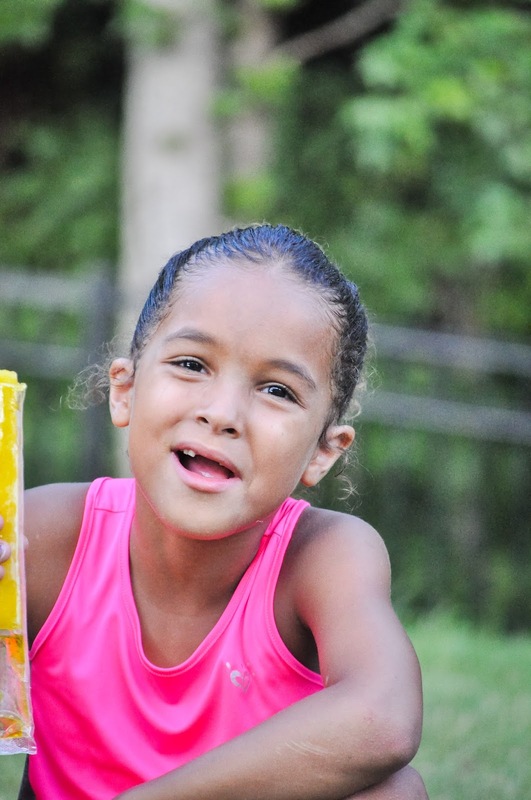 Continue the conversation by joining the all® free clear community and connecting with parents just like you! the kids loved it! Thanks Emily! What a great idea. Would be great for a birthday party and leave it up for the kids to still use, play and get healthy. I thought the same- that it would work for a birthday party! so fun! What a fun idea! I love it! I'll have to save this for maybe our next party! Thanks Kim! The possibilities are endless..it would be cute to tie the obstacles to a party theme! OH EM GEE! A backyard obstacle course would be an awesome idea for my kids birthday parties! We live in FL so it stays nice year round and we would really get some use out of this. Thanks, what a great idea! Thanks Amanda! I hope to recreate it for a party eventually! I think the kids would love it! SO many great ideas in one post - I love this so much! My kids would love this too :) Thank you! aw thank you for the kind comment Marlynn! It was so cute how much the kids loved it! What a cute way to transform your back yard and gets the kiddos outside and playing! We are an All family around here too. Works great! 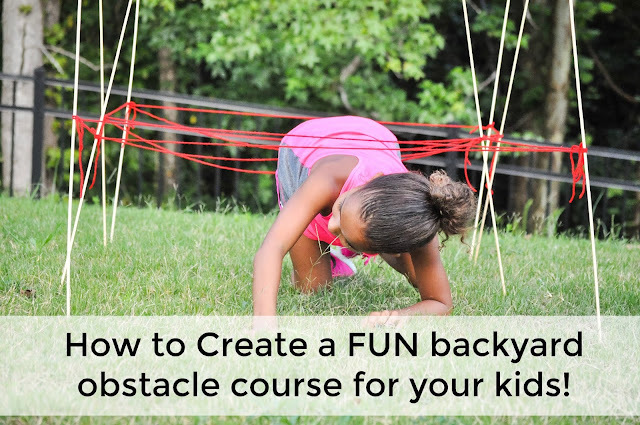 I want to come play in your backyard - this looks like a fun course!